about this book: A serial killer prowled the streets of my well-heeled suburban county in Michigan in 1976/77. He preyed on children; abducting, holding, molesting and then killing before returning them to locations where their bodies would easily be found. The final victim was the little brother of a friend of mine. The killer, 39 years later, has still not been caught. There are theories, and conspiracists and suspects that have floated through the never ending investigation but, no one, has been able or willing to pinpoint the killer. 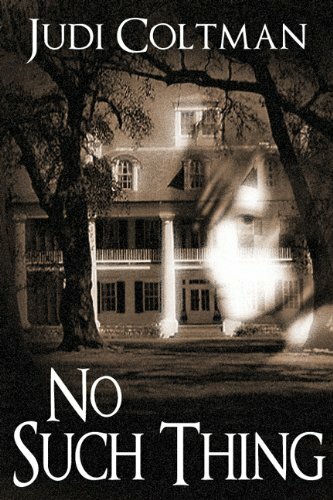 No Such Thing is a fictional account that interweaves several viable suspects and offers a story of what might've happened to these children based on in-depth research of the investigation with a paranormal twist. Writing this book was cathartic, for me, as it allowed me to create an ending to a community nightmare that is still on-going. My personal connection to the abduction of the final victim, Timothy King, is something that will loom in my psyche forever, prodded by the "what-ifs" that can never occur. While I would actually call this book a "Thriller/Suspense" story, No Such Thing was selected as a Quarter-finalist in the Amazon Breakthrough Novel Awards for 2013 in the "Mystery" category. People say that there is no such thing as ghosts which inspired the title but, in Oakland County, Michigan, they also want to believe that there is no such thing as the evil that lurked in our backyards.